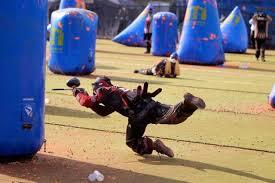 In order to make each paintball event an unforgettable experience, we have installed a Millennium to ensure it brings back the fun and festival atmosphere of tournament paintball. 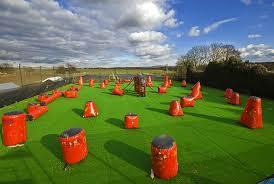 Speedball is played in an open field filled with inflatable fabric "bunkers" which can be used for protection and or concealment. The ability for these objects to be inflatable and deflated quickly allows them to be easily moved from venue to venue during competitions. Speedball games were originally started as a way to make the game safer for players who might trip on uneven woodland terrain. 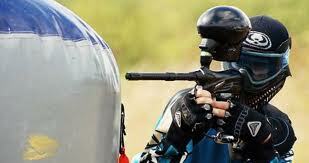 Speedball is generally a fast-paced game where many more balls are used than in woodsball style games. 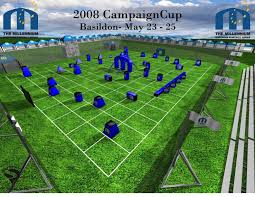 Though tournament paintball was originally played in the woods, speedball became the standard competitive format in the 1990s.The smaller fields made use of artificial terrain such as bunkers, allowing symmetrical fields that eliminate terrain advantages for either team.